US Secretary of State John Kerry has fallen on his sword in attempting to seek a renewal of negotiations designed to culminate in the creation of a new Arab State between Jordan and Israel for the first time ever in recorded history. He has apparently learned nothing from the failed attempts of his predecessors - James Baker, Lawrence Eagleburger, Warren Christopher, Madeleine Albright, Colin Powell, Condoleezza Rice and Hillary Clinton. Each was confident in his or her ability to persuade and cajole Israel and the PLO to do a deal - but all failed for one simple reason - both Israel and the PLO hold the following positions from which neither is prepared to resile. 1. Israel has demanded the PLO recognise Israel as the Jewish State and that any new Arab state - created as a result of negotiations - be demilitarised. These demands are non-negotiable - since the PLO Charter - first promulgated in 1964 - does not accept the right of the Jewish people to have their own state existing alongside 22 Arab Islamic States and calls for armed struggle to eliminate the Jewish State. 2. 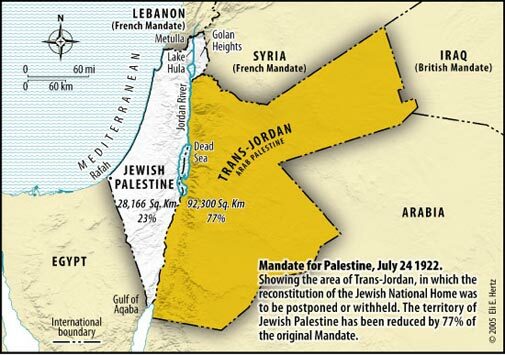 The PLO demands that Israel withdraw from every square meter of the West Bank and East Jerusalem - the ancient biblical heartland of the Jewish people legally sanctioned for Jewish settlement under the Mandate for Palestine and article 80 of the United Nations Charter - and that its 600000 Jewish residents be removed from their homes and businesses. Land swaps - first suggested in 2008 - are unlikely to succeed. 3. The PLO demand that millions of Arabs be given the right to emigrate to Israel - threatening an end to the Jewish majority by demographic default rather than military conquest - is not one that can be accepted by Israel or foregone by the PLO. Reconciling these irreconcilable demands has proved to be a diplomatic graveyard for Kerry’s predecessors - and so it will be for Kerry. Abbas has no constitutional imprimatur to sign anything that could remotely be seen as constituting a binding peace treaty between Israel and the Palestinian Arabs. The Palestinian Information Centre published many responses from prominent Palestinian Arabs that provide clear warnings to Kerry and Israel that decisions taken by the PLO will be unenforceable and not worth the paper they are written on. Member of the central committee of Fatah Abbas Zaki stated that pressures were exerted by the Arabs on Abbas to push him to accept negotiating with Israel. Dr. Ahmed Bahar, First Deputy Head of the Legislative Council, said in a statement that a return to negotiations according to the Israeli conditions was political suicide, and direct liquidation of Palestinian rights and national constants. Hassan Khreisha, Second Deputy Speaker of the Palestinian Legislative Council, also considered the resumption of negotiations “political suicide”, and revealed that the leadership in Ramallah accepted Israeli bribes to return to negotiations. Hovering over any resumed negotiations - if indeed they ever get off the ground - is the spectre of Hamas - which will never accept anything other than the total elimination of the Jewish State. The location for the demonstration - Jamal Abdel Nasser Square (Interior Ministry Circle) - was the site for the largest ever protest held in Amman on March 24, 2011. When Kerry twigs that Jordan - part of creating the problem that has plagued the West Bank and East Jerusalem since 1948 - must now be part of any solution in those disputed territories in 2013 - then perhaps he might be able to succeed where former Secretaries of State have so miserably failed over the last 20 years. Continuing to kow tow and bend to the demands of people like Abbas and Erekat has been and will continue to be a recipe for unmitigated disaster and failure. Kerry is still apparently on a learning curve - one that unfortunately will lead to a diminution in his reputation for concluding successful negotiations and result in the continuing humiliation of the prestigious and influential office of Secretary of State.